Welcome back ladies and gentlemen! 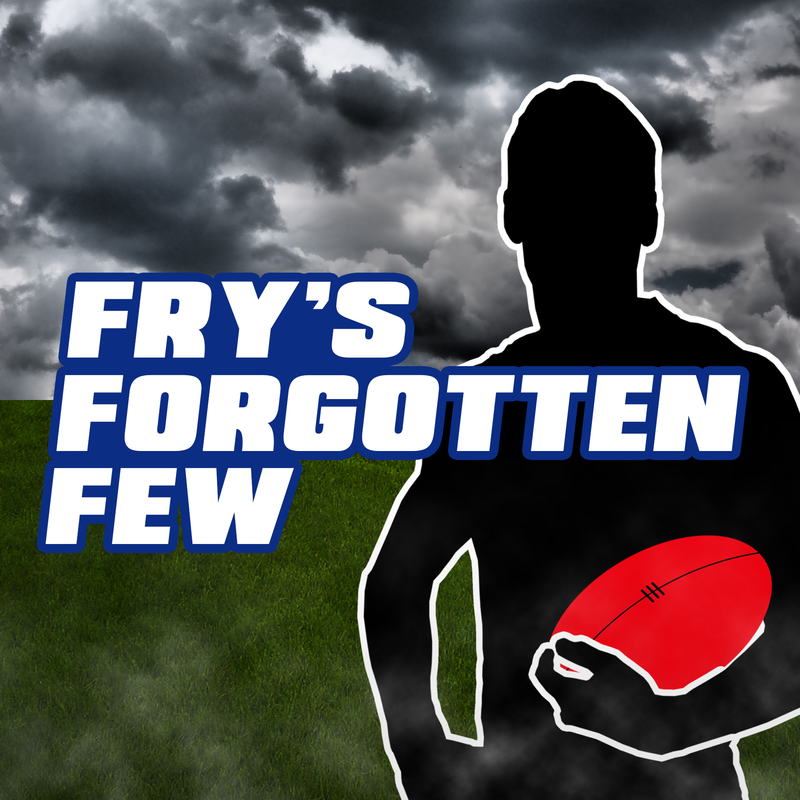 Your man Fry is back and fired up for another season of AFL Fantasy action, bringing you some underrated and under-owned trade targets while my team continues to go up in flames. Ok, things aren’t that bad, but it’s important to fix any gaping holes in your team before you start drowning. Not only will I be offering options for your Classic teams, but there are a few players I’ve identified as Draft league options as well! Let’s dive in. I had my eyes on Shane Savage all pre-season and it would have been nice If I had his 92 on my teamsheet instead of Hibbo’s 56. But that’s another story. Savage averaged a career-high 92.0 last year and seems poised to top 90 again in 2018. His numbers aren’t great against the Roos (career average of 58.2 in six games) so proceed with caution this week. You couldn’t do it, could you? Tuohy might be a viable option flying under the radar with the Cats defender good for 75-95 every week. Is that enough to bring him in right away? Probably not, but if he can string together a few games in the 90’s and push triple figures he might be a perfect sideways move for an underperforming Michael Hibberd (he’s still in my bad books if you couldn’t tell). I didn’t have the guts to do it, but I took a long hard look at Marchbank this year, in both Classic and Draft. I owned him for the first half of last season and he hardly put a foot wrong averaging close to 80 in his first 10 games. With Docherty set to miss all 22 this year, Marchbank looks set to benefit from a few loose kicks across the Blues halfback line. GUN! Sign me up for as much Bryce Gibbs stock as possible. The new Crow looked at home running around Etihad Stadium on Friday night, tearing the Dons up for a 139. Every season there are midfield maestro’s that go completely unnoticed all year long, also known as the winners of the Seb Ross award. Gibbs could be good for a 115 average this year, he’s that good. Mr Dependable once again finds himself on the outs with just over 2,500 coaches taking the punt on Pendles this season. He does have a high breakeven heading into this week, but you can safely pencil Scott Pendlebury in for about 105-110 every week. There might be players with a higher ceiling but there aren’t many who are more consistent. While I don’t think the 112 he put up on the weekend will become a regular feature from Taranto, it’s nice to see he is capable of these scores. It’s worth being patient and waiting a week or two before investing though to see if his week one game was a flash in the pan or the real deal. Be careful you don’t miss the boat though if he goes big again in Round 2. Last year, Jarrod Witts made a bit of a name for himself as an underappreciated ruckman. The Suns big man burst out of the blocks with a huge 140 against Todd Goldstein last weekend, the 5th highest score of the round. 21 kicks on the weekend from the big man is a fantastic sign that Witts isn’t done pumping out big tons. We won’t find out who will replace the All-Australian ruckman until later in the week, but with Ryder sidelined for at least six weeks, there could be a handy pickup in the free agency heap. Justin Westhoff and Dougal Howard could be given more time in the center of the ground, but don’t rule out the Power blooding Billy Frampton or Sam Hayes. Watch this space. Let the record show that I’ve been in on Blake Acres since day one this preseason. Don’t expect 120+ week in, week out, but Acres could really benefit from more time in the guts this season at St Kilda. It is worth mentioning that the Saints didn’t have Luke Dunstan playing, but it seems like Acres is locked into a wing role in 2018 with a few bursts in the middle and up forward. Tick. How is Luke Dahlhaus in just over 5% of teams?! I understand he regressed last year, but in a season where 310% of coaches own Isaac Heeney, Jack Billings and Devon Smith (or at least two of the three), he looms as the perfect trade target if you want to find a unique player in your forward line. A change of scenery could be exactly what Aaron Young needs to flourish as an AFL Fantasy player. A good sign from Young’s Round 1 score is that he didn’t rely on a bunch of goals to score big, racking up 26 touches and nine tackles for his 112. He could be the perfect bonus for a team looking to add another string to their bow in the forward line. What Do You Do With Zach Merrett? According to all reports, the mercurial Zerrett will be making the cross-country trip to play Fremantle in Perth. His third head knock in a short period of time has placed some doubt over his status and leaves thousands of coaches torn about how to approach his ‘concussion’. If he does miss the match in the West I plan on holding him, as he will only spend one week out. Then again there is merit (pardon the pun) in moving him on for the likes of Dustin Martin or Matt Crouch. Is It Too Early To Give Up On…? Long answer short, don’t do it. There is no point trading out the premiums that you backed in all preseason after one bad performance. That being said if the bad score was due to injury, role change or they just flat out looked like an absolute potato then ditching them might be more justified. I’d give them at least one more week. Is Not Trading A Wise Move? Each week I will be looking at the guys who made a return from injury/suspension and how they performed out of the gates. Due to every team rolling a new 22 to kick off the 2018 season, I’ll check in with these such players next week. Got a question that needs answering? Feel free to leave a comment below or message me on Twitter @myrealnameisfry) and I’ll get back to you! he’s out for me and in with Coniglio. was either him or Rocky – backing Rocky one more week. I’m holding for another week at least. I just can’t drop him after one bad game. Think option 1 as can cristensen will be ok and not lose money, can get English next week and give weitering another go but would also look at upgrading so would even take Rocky to o’meara this week to leave cash to upgrade next? 3 sounds the best to me. Libba to O’meara and Weitering to Simpson. Thanks for the article Fry! Got any thoughts on Bonner? I don’t know much about the kid, just trying to work out whether he’s a worthwhile punt. Thoughts on Berry as a POD? thoughts on jacobs to naitanui and naughton to petracca???? I was thinking about pulling the trigger on a Jacobs to Nic Nat move, but I’m backing Sauce in to bounce back. It’s tempting to do it and save a ton of money, but I have faith in big red. Find another way to get Petracca though. CP5 is a star! Thoughts on trading Luke McDonald to Zac Guthrie and then libba to cogs? Or keep McDonald and trade mark oconner to pearce and then libba to d Barry? The 1st part sounds good. Guthrie and Cogs…Thumbs up. Or McDonald > Guthrie & Libba > Barry. Leaving you with a nice little war chest. My POD for the year is currently Seb Ross. Not at all disappointed about his first round score. Yes, he won’t get that every week, but he was my choice in that Rocky/Neale/Conigs/Ross price bracket (I also have Coniglio). Still watching Neale and Rocky. Oh. Also Parker too. I have him as well. Thoughts on Ablett if one can afford him? 4% of teams, big games ahead and looked great last weekend. Would wait to see how he performs with Danger in the side. Thinking rocky will improve, R Gray is back so surely more time at clearances for Rocky. But all 3 options for option 2) are a gamble really. Thoughts? Will Zach Guthrie and O’Connor play this week? It’s tough to say. Guthrie was named on the ground though and played last week, while O’Connor was named on the bench and his status is much more up in the air. Is it worth keeping O’Connor on the ground and if he doesn’t play get Doedee’s emergency score, or just play Finlayson? Play Murray, Finlayson or O’Shea? take dusty martins 127 points as vice or go ablett against the hawks??? Should i pick up zac guthrie or pearce to replace Hibberd?